New Poll: POTUS Trump Gains With Black, Hispanic, and Women Voters. Suburban women, after fleeing Republicans in the 2018 midterm congressional elections, are coming back to President Trump. The reason: many want his border wall. 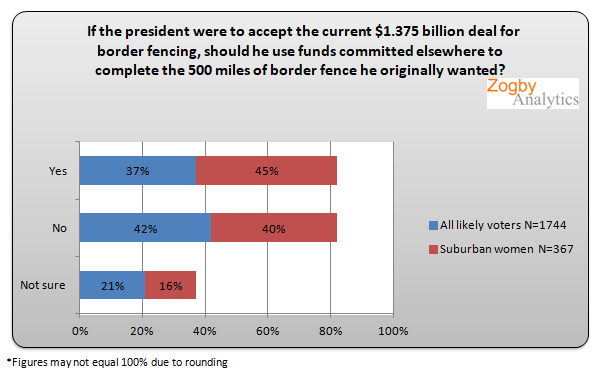 A remarkable new Zogby Analytics poll found that suburban women, more than likely voters, support the wall and Trump’s emergency declaration that will allow him to spend more to build it than Congress has OK’d. The numbers: 45 percent of suburban women want the president to find other sources of money to build the border wall, versus 40 percent who don’t. And 50 percent back his emergency declaration. His latest survey found that Trump’s approval has continued to edge higher, and he’s picking up support from other groups that had soured on the president, including Hispanics, African Americans and independents. “The president’s numbers steadily gained among Independents (39 percent approve/55 percent disapprove) and voters without college degrees (45 percent approve/51 percent disapprove), two groups that helped him win the 2016 presidential election. Another interesting area where President Trump gained ground was with Hispanics (40 percent approve/57 percent disapprove) and African Americans (24 percent approve/70 percent disapprove). Both groups’ job approval rating of Trump increased the most in months,” said Zogby’s polling analysis. President Trump’s enemies are currently throwing just about everything at him to try and sway the 2018 Midterms in order to proceed with impeachment hearings and destabilize the 2020 General Election. Fake News attacks are at an all-time high. 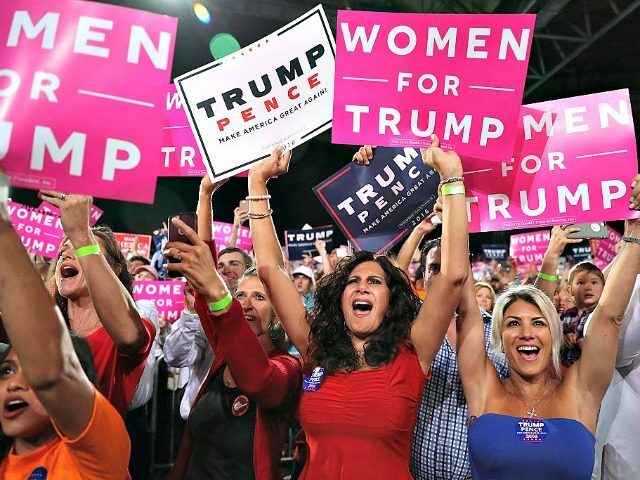 The anti-American globalists are convinced they will crack the support among tens of millions of voters that have made Donald Trump the most remarkable political movement in a generation. Is Trump Actually Considering NOT Running In 2020? A blast of Establishment Media speculation regarding the possibility Donald Trump may not actually run for reelection in 2020 has escalated in recent days. Is there any truth to these reports? The quick answer is yes – and no. There is a decidedly coup-like slant to the NYT piece likely meant to enrage both Trump and his supporters as much as it is an attempt to entertain its leftist reader base. Donald Trump may decide one term is good enough. His disgust for Washington D.C. has only deepened since his arrival. It is a disgust he shares with his millions of supporters. He has apparently hinted he might do so, though, those hints remain distant what-ifs at this time. Mike Pence remains loyal to Trump – period. Nikki Haley, though not nearly so loyal to the President, is said to have grown to admire him far more since joining the administration. She remains a rising political star of considerable ability. If Trump does, in fact, make himself a one-and-done POTUS it will be on his terms. As of now, there has been no real discussion on this matter. Mr. Trump will likely await the results of the 2018 Midterms before giving any real consideration to not running again in 2020. Some have suggested if he’s allowed to replace a liberal Supreme Court Judge with a conservative one within his first term Mr. Trump would be more willing to finish out the one term and step aside for Mike Pence to be the 2020 nominee. 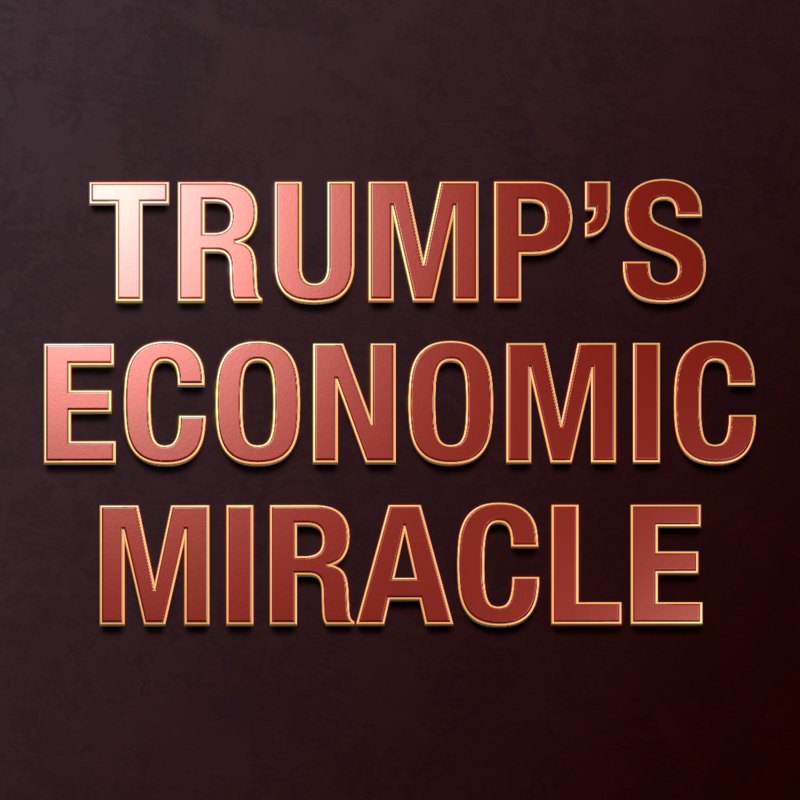 Mr. Trump’s success has been remarkable over the first half of his first term despite a barrage of negative press and repeated obstruction from Republicans and Democrats alike. If he decides to call it a day after one term could anyone blame him? There remains a stunning disconnect between how the media reports on the Trump administration and the reality that IS the Trump administration. And now Mr. Trump has added a lot more fuel to the media’s anti-Trump fire. He’s just announced he is all in on a 2020 re-election bid on the same day consumer confidence in America soars to historic highs. The report reflects increased confidence in employment and incomes, which could support consumer spending. The labor differential, which measures the gap between respondents saying jobs are plentiful and those who say they’re hard to get, rose to 24.7 percentage points, the highest since 2001. Recent tax legislation signed in December may have also buoyed sentiment, as many Americans saw bigger after-tax paychecks in February due to the law. That may have helped consumers shrug off the early-February 10 percent decline in stock prices, which have since recovered most of their losses. 25.8 percent of consumers said they expect better business conditions in next six months, up from 21.5 percent in previous month. Buying plans for homes, major appliances and new cars increased.